As an avid Revlon user, I think it's only fitting for today's post to the 5 things I love about Revlon's Colorstay Moisture Stain! So for those of you who aren't familiar with the product, here are a few reasons why to get it, love it, and use it! 1. 12 different color choices for everyday use! 2. Moisture, moisture, and more moisture! For those worried about their lips getting dry and chapped, rest assured this lip gloss will keep you hydrated throughout the day. There's no need to apply over and over again (except, of course, after a meal!) throughout the day, you wont need any additional lipbalm to retain the moisture. 3. Comfortable and smooth the entire day! They say beauty is pain, and that comfort is optional, but not with Revlon Colorstay Moisture Stain! I must admit, I thought that since most of the time glossy means sticky this one wouldn't be much different, but thankfully I was wrong. It's probably because of the Vitamin E and Aloe that it seems so smooth and light? Well, even if it starts of sticky before it dries, the rest of the day you'll definitely forgot that you put it on in the morning. Yup! It's that comfortable. As you can see from the swatches above, the glossy pigmentation is wonderfully strong! 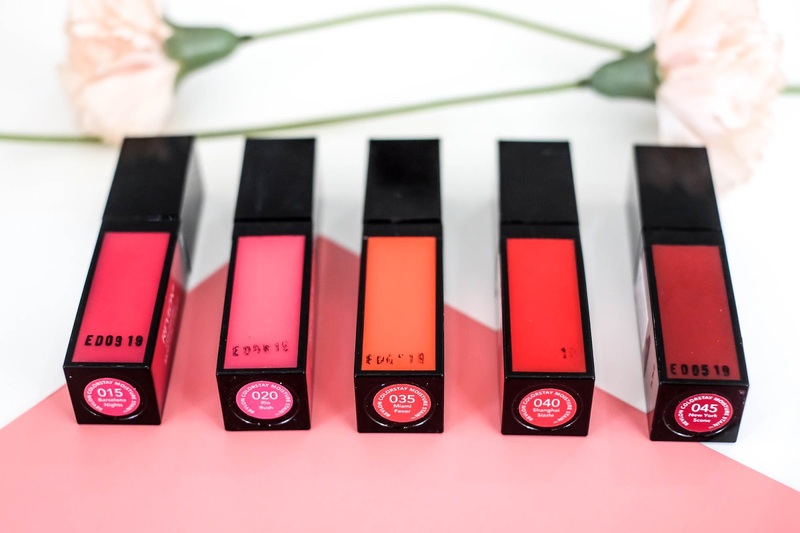 It'll keep your lips super glossy throughout the day with a longstanding bright colour. It does take a while to dry, but once it does it stays on for hours. 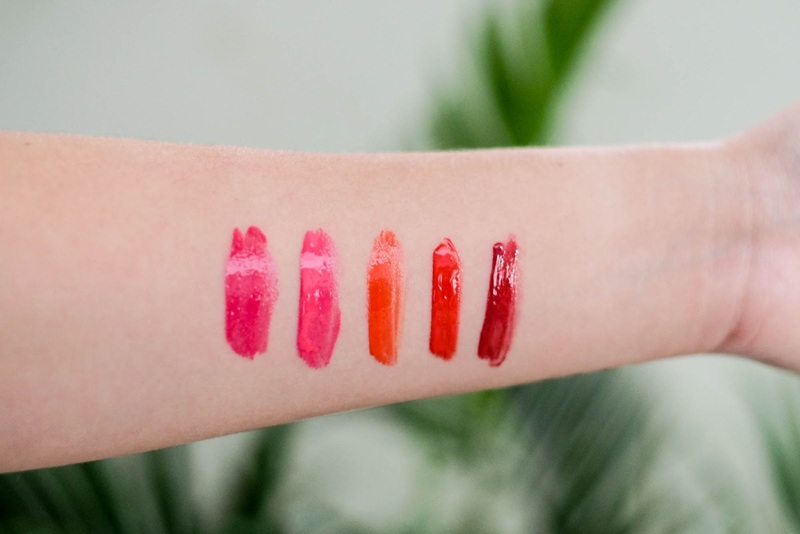 I suggest using only a little bit at a time, since the colour is strong enough without having to use a lot, and the moisture is enough to keep your lips glossy for a while! 015 Barcelona Nights is a bright red colour. I think it should be super flattering to most skin tones. 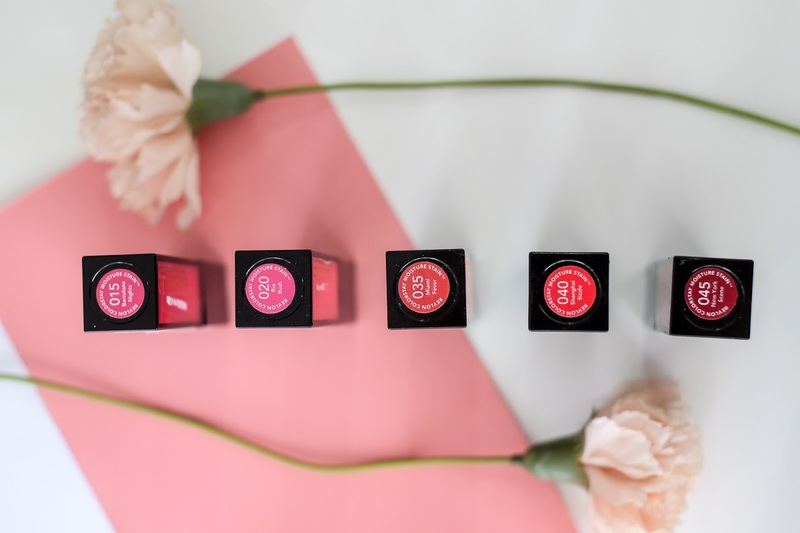 020 Rio Rush is the pinkest shade of the five, it reminds me of Barbie lips! 035 Miami Fever is more to the orange shade, super on trend. 040 Shanghai Sizzle is a deeper red, but still with a tinge of orange. 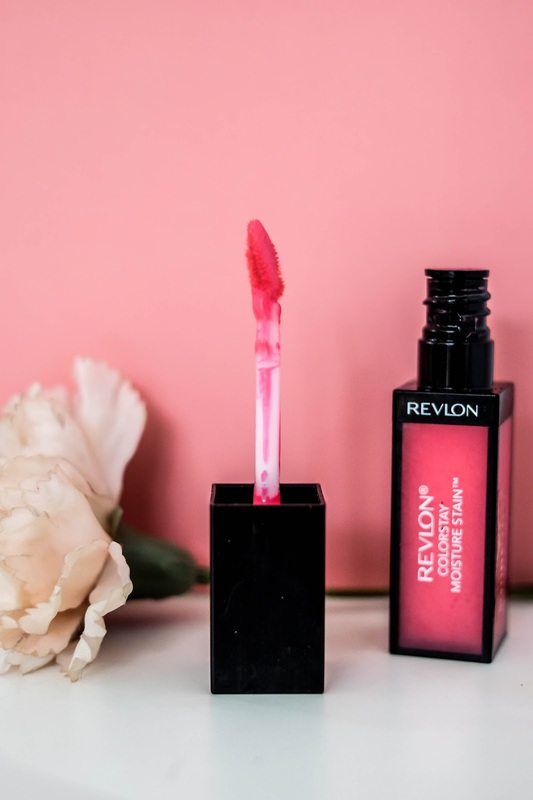 For those of you on the lookout for a brand new look on a budget, Revlon's Colorstay Moisture Stain could be the one for you! It'll only cost you IDR 89.000 per tube, and that means you can pick up more than one to change it up. 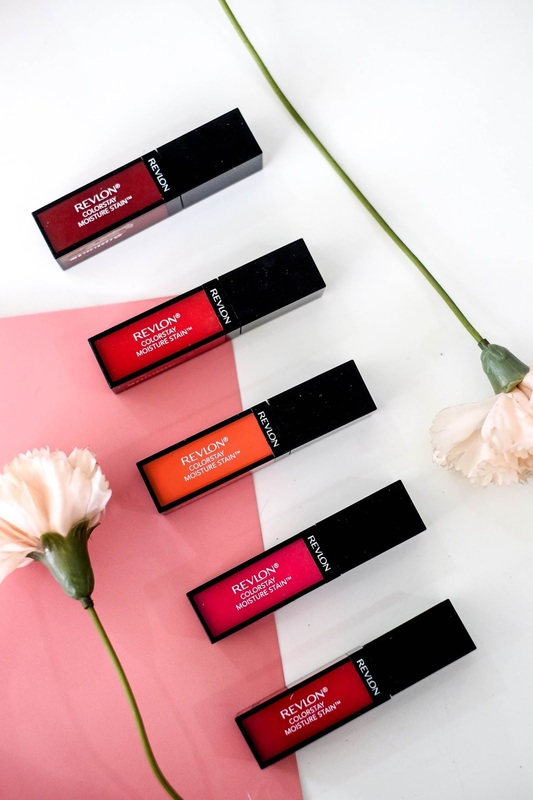 So equipped with these five reasons, I think you guys are ready to visit your nearest Revlon Cosmetics counter and get your own favourite bright shades for everyday wear!